Doctoral student, Ali Kemal explains about Pakistan readers of "Three Cups of Tea." Berthoud by the Book, sponsored by the Berthoud Community Library District, has scheduled a series of events that will give a greater depth of understanding for this year’s book choice, “Three Cups of Tea,” the story of Greg Mortenson and his efforts to build schools in Pakistan. 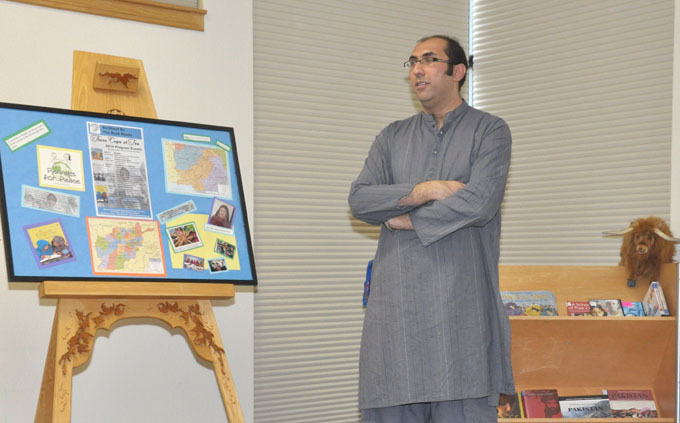 Ali Kemal, doctoral student at CSU and native of Islamabad gave the presentation “Journey to Pakistan,” an insightful program about the physical attributes of the land and the nature and mind of the people of Pakistan. The second part of his program covered the educational system in Pakistan and the great need to increase educational opportunities for all the children in Pakistan. Pakistan is a country of amazing contrast, from its restless sea coast, its arid desert lands, the Siachen Glacier that spreads 43-mile and is the second longest non-polar glacier in the world and north to the famous K2, the second highest peak in the world at 28,251 feet. Until you see the common people, and learn about their customs, ideas and joys they are no more than a word in your vocabulary – Pakistani. The word leaves brief images in your people you saw on the news. Until you know the shalwar qameez (the long – to the knees – shirt) is the common dress for men; that they spend Pakistani rupees when they shop; that a hug is as good as a handshake when men meet; that they enjoy Basant (the Spring Festival) flying kites, polo and soccer, soirees, events similar to rodeo, practice their religion, love their children, bright colors good food and community, do you begin to know the Pakistani. When you look at the green and white flag of Pakistan and know that the green represents the Muslims and the white the non-Muslims; that the crescent represents progress and the star represents light and knowledge, then you have taken the first step. These are the things that are important to the people of Pakistan. 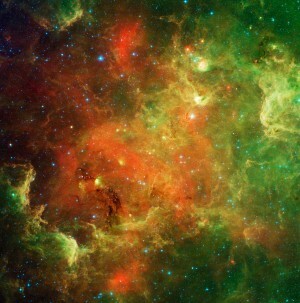 The star – light and knowledge – is the focus for Pakistan at this time. While the short film “The Miseducation of Pakistan,” shown during the program, pointed out many of the problems and waste that some schools face in this country, it was the opinion of Ali Kemal that the film was too narrowly focused and was itself a miseducation on Pakistani schools. As the land is a picture of contrast from its coast, deserts to the incredible mountains, the school systems in Pakistan hold such variety. There is much work to do for the educators, in teaching the children, in teaching the adults wanting to learn what they never had a chance to learn as children, and in changing the mindset of those who fear the changes that education will bring to their communities. Because of the work and dedication of Greg Mortenson, a mountain climber from Montana, drawn to Pakistan by K2, the remote communities in the mountainous regions in the Karakoram region are finally hopeful that their sons and daughters will receive an education that will enhance their lives. His enthusiasm to build and furnish schools to the small communities is catching. Site contents copyright © 2019 Recorder Online	except as noted. All rights reserved. | 93 queries in 1.393 seconds.